Why Is Psychiatry's New Manual So Much Like The Old One? : Shots - Health News Unlike cardiology and most other fields of medicine, psychiatry still hasn't developed discrete, biological tests for diagnosing illnesses of the mind. That's because the brain "hasn't yielded its secrets yet," one psychiatrist says. Why Is Psychiatry's New Manual So Much Like The Old One? Despite significant advances in neurology and imaging, researchers still don't have simple lab tests for diagnosing patients with mental disorders. Diagnoses are still mostly based on a patient's signs and symptoms. The American Psychiatric Association is about to release an updated version of its Diagnostic and Statistical Manual of Mental Disorders. The DSM helps mental health professionals decide who has problems such as depression, anxiety and schizophrenia. Psychiatry's new manual, DSM-5, has been nearly 20 years in the making. During that time, scientists have learned a lot about the brain. Yet despite some tweaks to categories such as autism and mood disorders, DSM-5 is remarkably similar to the version issued in 1994. 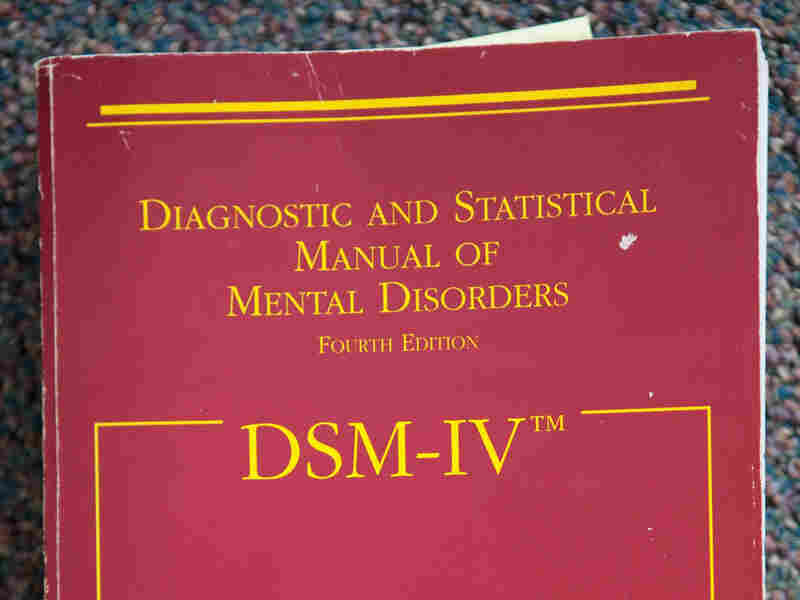 "There are lots of changes throughout the manual that reflect the research in the last 20 years," says Michael First, a clinical psychiatrist at Columbia University who was involved in creating both DSM-IV and DSM-5. (The APA abandoned Roman numerals for the new manual.) "But because that kind of research hasn't allowed for a paradigm shift, the DSM is not a paradigm shift either," First says. Specifically, DSM-5 will continue to use symptoms as the primary way to decide whether a person has a particular disorder. That may not sound odd until you consider what's happened in other fields of medicine, like cardiology. If you go to a hospital with chest pain these days, chances are you'll get a diagnosis based on tests of the electrical activity in your heart, the enzymes in your blood, and the blood flow through your arteries. But if your problem is emotional pain, your diagnosis will probably be based on a conversation. So why is psychiatry still so last-century? Scientists say it has to do with the nature of the brain itself. When psychiatrists began work on DSM-5, they expected to come up with a document that would signal a new era in mental health care, First says. "We were hoping and imagining that research would advance at a pace that laboratory tests would have come out," he says. "And here we are 20 years later and we still unfortunately rely primarily on symptoms to make our diagnoses." That's not ideal, First says. Not for doctors. Not for patients. Not for scientists. The problem is that the new DSM is still classifying mental disorders based on their surface appearance, not their underlying biology. And the history of science shows that appearances can be deceiving. Take hippos, for example. Early naturalists thought hippos must be related to pigs. After all they look somewhat alike and have similar teeth. But fossils and genetic studies showed that hippos' closest living relatives are actually dolphins and whales. So to avoid the hippo problem, many areas of medicine have begun to look beneath the superficial appearance of an illness. "For literally centuries, doctors have looked at diseases using signs and symptoms," says Susan Desmond-Hellman, an oncologist who is chancellor of the University of California, San Francisco. So, she says, doctors would ask questions like, "Do you have a lump somewhere?" But now, many scientists are concerned that this emphasis on the signs and symptoms of a disease "could be seen as holding us back," Desmond-Hellman says. Instead, she's been advocating something called "precision medicine," which tries to classify diseases in a way that indicates what's truly causing the problem. A good example of this new approach is breast cancer, Desmond-Hellman says. "I'm a cancer doctor and had the incredible opportunity to work on revolutionizing how we treat breast cancer based on what's in your DNA that's signaling the breast cancer to grow," she says. "And it's a wonderful opportunity because if a patient has a breast cancer that's driven by something in the genome, we can turn it off." This revolution happened in part because cancer researchers looked beyond the old way of classifying tumors according to simply what body part they appeared in, Desmond-Hellman says. And something similar needs to happen in mental health because, she says, "everything from autism to Alzheimer's is classified in ways that clearly don't work today." Desmond-Hellman adds that she's not criticizing psychiatrists or psychologists for using the DSM. It's still the best option because there still aren't genetic tests or brain scans that offer a better way to classify patients with mental disorders. So why haven't researchers developed simple lab tests for mental disorders? "We've tried," says Thomas Insel, director of the National Institute of Mental Health. "You know we've actually looked — using brain imaging, using various endocrine tests, looking at a range of other kinds of biomarkers. So far that has been found wanting." 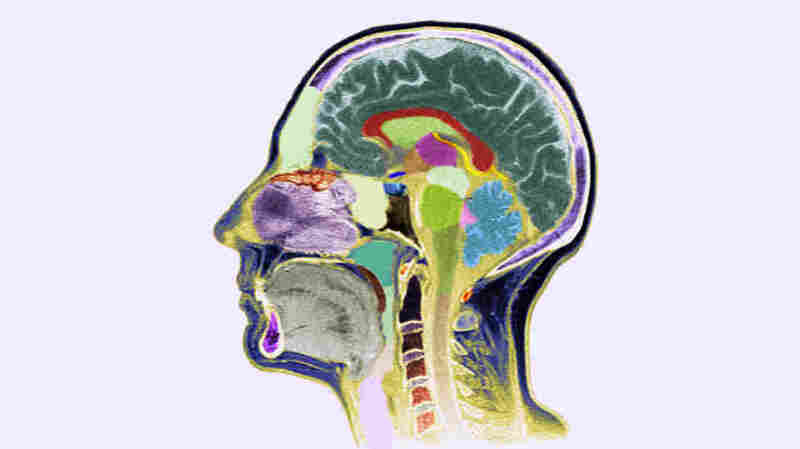 For example, researchers tried for many years to find a genetic test or a brain-scanning technique that could identify people with depression. That approach would make sense if scientists knew that all depression can be linked to the same underlying problem. But what if it can't, Insel says. What if depression is like a fever? "Some people who have a fever have a bacterial infection, some a viral infection, some an endocrine problem," Insel says, "a whole range of reasons why that would be your presenting symptom and a whole range of different treatments that you need for each of those causes." So a few years ago, the NIMH began moving away from research based on categories defined only by symptoms. Instead, it's pushing an approach it calls Research Domain Criteria that emphasizes basic functions in the brain. Researchers might get money to study circuits involved in fear, or so-called working memory. This sort of research has the potential to uncover problems in the brain that will change the way mental disorders are classified, Insel says. "A biological thing that presents with depression in some people might present with psychosis or anxiety in others," he says. "And so maybe what you'll find is a problem that cuts across the current diagnostic categories." Insel says findings like that are years off. Maybe they'll get here in time for the next version of the DSM. Maybe. Michael First, the psychiatrist who spent much of his career working on the DSM, says he's learned to be cautious about anticipating major advances in any problem that affects the brain. The Diagnostic and Statistical Manual of Mental Disorders, or DSM, is the official list of all the mental disorders doctors can use to diagnose mental illness. It's updated every 20 years or so. Back in the 1990s, when he was writing a guidebook to DSM-IV, First says, he made an unfortunate prediction about Alzheimer's. "I stuck my neck out," he says. "We said that by the time DSM-5 comes out, Alzheimer's will be the first diagnosis that has a laboratory test." That hasn't happened. Even though scientists have learned a huge amount about the plaques and tangles associated with Alzheimer's and even though high-tech scans can reveal ever more subtle changes in the brains of people with the disease, there's still no lab test that's good enough to diagnose Alzheimer's. First says migraine headaches are another brain problem still waiting for a lab test. "If you have a headache and you go to a neurologist, even though they might run some blood tests, the actual diagnosis of a migraine vs. a cluster headache depends on the description of the symptoms," he says. "So psychiatry is not unique." In fact, almost every specialty that deals with the brain has run into the same roadblocks facing psychiatrists. "The brain is very, very complicated and it really hasn't yielded its secrets yet," First says. And that, he says, is the primary reason mental health isn't more like cardiology or oncology, why psychiatrists and psychologists still rely on symptoms, rather than lab tests. The human brain is the most complicated thing in the universe. It has nearly 100 billion neurons and many trillions of connections, and its complex wiring changes all the time. But the daunting complexity of the brain is no reason to give up on the DSM or the ability of mental health professionals to treat mental disorders, First says. "When people walk into our offices they come for help, not some explanation of the neurobiology of what's going on," he says. "They want some relief of suffering and the DSM remains the most valuable tool for psychiatrists to be able to do that."